Mossel Bay has a rich history dating back to Vasco Da Gama. The Diaz museum in the center of town is the ideal place to familiarize yourself with our history. 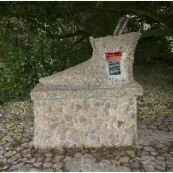 It is also where you can view the “Post Tree” – South Africa’s oldest post box.